The Continental is the newest addition to our touring seat lineup that features a perfectly sculpted double bucket design that cradles both you and your passenger in a way unlike any other. 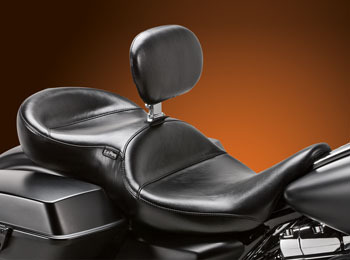 The Continental offers the widest rider (17" wide) and passenger (16" wide) seating to ever wear the LePera name. 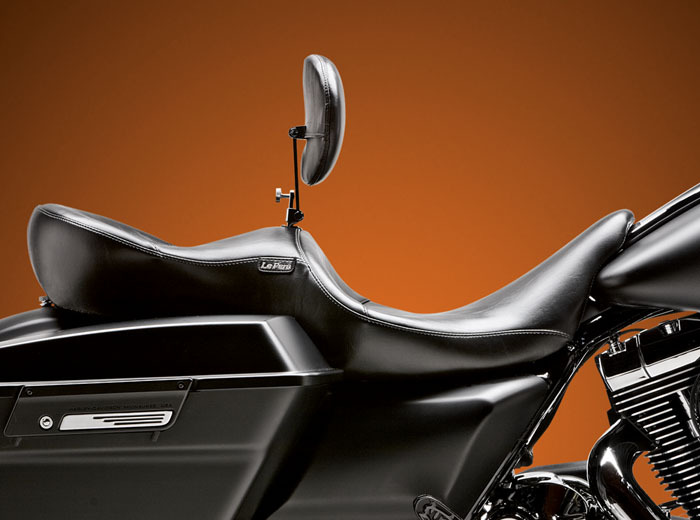 With or without the Backrest, the Continental will allow you to "run out of gas before you run out of a@@!"